I love the banner, it's super cute. As far as the website, I like the different colors between the details and the price. Maybe even put a space between the two? I love that you have the cart connected to PayPal, that makes it really easy. LOL Michelle- see that's good to know, cuz I don't know how it looks on other monitors, maybe one day I'll have to come use your computer and work on it. We have a 19" widescreen monitor so sometimes it doesn't look the same on smaller screens. I know what you mean about that. I'm trying to change my blog to three collumn. It looks great on my pc at home, but when I get to work (smaller screen) it looks horrible. The second sidebar is on the bottom. I don't know if it's something I've done wrong, but I don't want other people to seem my page and think it looks bad. It's hard to change things over b/c you don't know how other people will see it. I went over and checked out. It looks pretty cool. Tisha- are you putting your widths in pixels or %s? I had to put mine as % to get it to fit most monitors, since smaller monitors can't fit as many pixels across. Like my sidebars are each 20% and my main post column is 50%, or something. 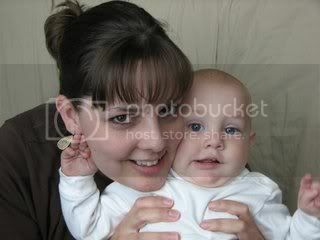 That is an adorable pic! I think your site looks great. Good luck! So adorable. 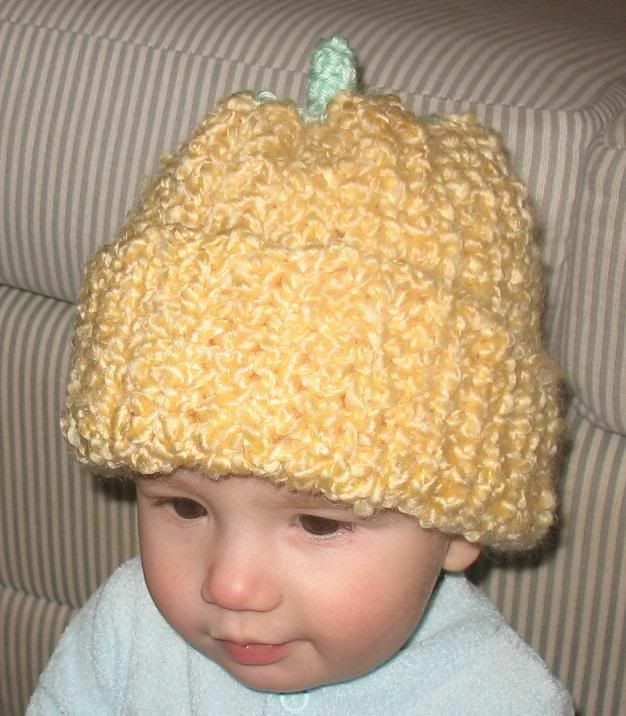 My son had a crocheted pumpkin set that he wore on his first Halloween. I'll keep it forever! Your site looks great. Kara- everything looks really good!